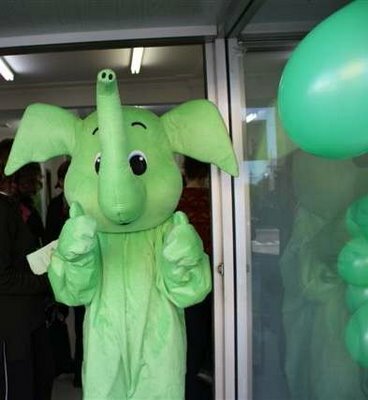 Last summer after feverish weeks of preparation, the Green Elephant Buddhist charity shop opened in Sydney, Australia, close to the FWBO's Sydney Buddhist Centre. "The project is the brainchild of two women Dhammamitras, both of whom have asked for ordination. They have since been joined by a third women mitra, who also has asked for ordination. She gave up her well paid, part-time job in IT to become the shop manager, which is the only paid position in the shop. "The profits from the shop, once they are fully established and have paid off the loans taken out for set-up expenses will be divided 60% to the projects for women and children in India, such as those run by Arya Tara Mahila Trust, and 40% to the Sydney Buddhist Centre. The public has responded warmly and strongly to the shop, and are very interested in the Indian women's projects being supported. "Already in only a few months of operation the shop is breaking even and should soon be able to start paying off the loans taken out. We hope to make a profit distribution this financial year. "An enormous amount of vision, planning, enthusiasm and hard work is going into this project to provide money that will benefit women and children in India.